Memphis, TN –In this Back to Basics Video, Xceleration Media host Richard Holdener demonstrates just how easy it is to install an aftermarket cam in a GM LS3 engine. 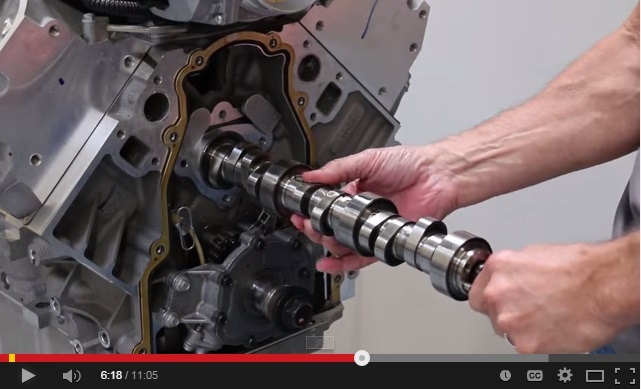 Gains of up to 60 horsepower can be made with a simple aftermarket camshaft installation. With that goal in mind, the second episode of the new Back to Basics series is an eleven-minute video that walks viewers through every step of the cam installation process. Holdener does so with simple step-by-step instructions even the most novice of gearheads can follow. With tips on disassembly and assembly, engine preparations, torque settings and more, seasoned builders are also sure to learn something new. All videos from COMP Cams and the rest of the COMP Performance Group family are available at www.cpgnationtv.com. Previous articleCan EFI Make Saturday Night Racing More Affordable?